Lisbon Teens Surf Camp - Nomad Summer Camp, Lisbon Opiniao geral de hospedes: ★★★★☆ 4.4 Com base em 19 Comentarios . Acampamento de Surfe de Verão Lisboa Verão Adolescentes oferece Surf para adolescentes, localizado na Costa da Caparica a 100 metros da praia e apenas 20 minutos do aeroporto de Lisboa. Quadra de tenis, gramado e uma linda piscina. Adolescentes da Rússia, Itália, Reino Unido, França, Suíça, Bélgica, EUA, Canadá, Espanha, etc. Supervisionados 24 horas. Não é apenas Surf, mas um monte de atividades diferentes e o principal objetivo é se divertir! Jiwa Alam Secret Spots Surf Charter - Rote, Sumba, West Sumbawa Opiniao geral de hospedes: ★★★★★ 5 Com base em 4 Comentarios . Teens Language & Adventures Camp - Boston, Massachusetts Opiniao geral de hospedes: ★★★★☆ 4.3 Com base em 3 Comentarios . Summer or winter here is the right place to learn English, meet new international friends from all over the word and while engaging in social and cultural activities and excursions with their peers, teachers and staff. 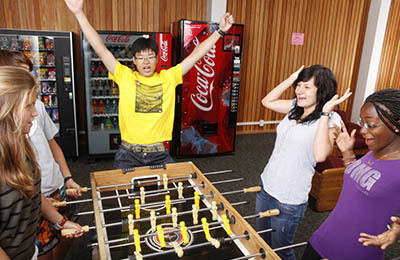 The Junior Program at the College gives students the opportunity to live and study in state-of-the-art facilities, located in the heart of Boston. 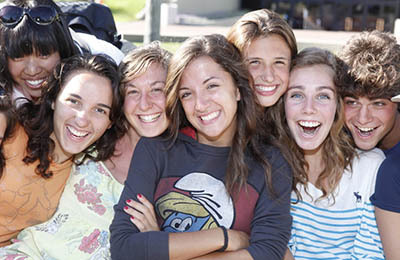 Teens Language & Adventures Camp - Los Angeles, California Opiniao geral de hospedes: ★★★★★ 4.5 Com base em 4 Comentarios . Teens Language & Adventures Camp - Santa Barbara, California Opiniao geral de hospedes: ★★★★★ 5 Com base em 3 Comentarios . Summer or winter here is the right place to learn English, meet new international friends from all over the word and while engaging in social and cultural activities and excursions with their peers, teachers and staff. Once called California's best kept secret, Santa Barbara is known all over the world for its exceptional climate, stunning scenery, and palm-lined, white-sand beaches. Banyak Surf Resort - Pulau Balai, Sumatra Opiniao geral de hospedes: ★★★★★ 5 Com base em 4 Comentarios . Banyak Surf Resort is located in a lagoon surrounded of uncrowded and maybe even yet to be discovered waves. The Banyak Islands are an archipelago of 60 islands in the west coast of Sumatra, north of Nias. Our surf resort is located south of Tuangku Island in the Bay of Plenty front of 3 perfects waves, Lolok Point, Gunturs and Dindos. BBK Live, Running of the Bulls & Surf Apartment - Pamplona, Zarautz, Basque Country Opiniao geral de hospedes: ★★★★★ 5 Com base em 2 Comentarios . 7 night stay in twin share tents with mattress and sleeping bag provided (2 nights at Running of the Bulls Camp in Pamplona, 3 nights at BBK Live and 2 nights at our Zarautz Surf Camp), Bilbao BBK live ticket, transfers to and from Bilbao BBK Live festival, breakfasts and dinners at our campsites, surf lessons and board hire at Zarautz campsite, festival guides and much more! July 6 to 14, 2019. Two nights surfing not enough? No worries, we can organize it. Crocro Surf House - Tamraght, Agadir Opiniao geral de hospedes: ★★★★★ 5 Com base em 3 Comentarios . 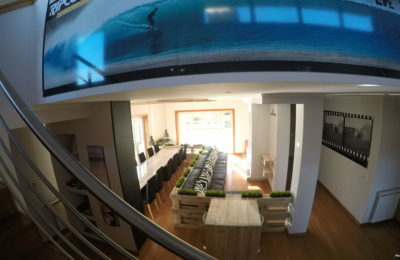 Basque Coast Surfari Surf Camp - San Sebastian to, Hossegor Opiniao geral de hospedes: ★★★★★ 4.7 Com base em 4 Comentarios . Biarritz Teens Language & Surf Camp - Biarritz, Basque Coast Opiniao geral de hospedes: ★★★★★ 5 Com base em 2 Comentarios . Exciting French summer camps for teenagers offered by a language school! If you are looking for a summer camp in France with a difference, consider the program offered by Biarritz Teens Language & Adventures Camp. Our young learners’ courses offer the unique combination of French language courses in France for teenagers and exciting sporting and outdoor activities. Zarautz Surf House - San Sebastian, Guipuzcoa Opiniao geral de hospedes: ☆☆☆☆☆ 0 Com base em 0 Comentarios . At our Surf House the beers are cold and waves ready to be surfed, the only thing missing is you! The landscape is perfect, with everything from vast mountains to sparkling beaches. We've provided dorm-style accommodation, with three healthy meals everyday, prepared by our in-house chefs, daily surf lessons from experienced instructors, transfers to the local beach break, San Sebastian pintxo tours and party nights, an awesome crew and an unforgettable experience! Furadouro Surf Camp - Porto, Aveiro Opiniao geral de hospedes: ★★★★★ 5 Com base em 6 Comentarios . Zarautz Beachside Surf Glamping - San Sebastian, Basque Country Opiniao geral de hospedes: ☆☆☆☆☆ 0 Com base em 0 Comentarios . 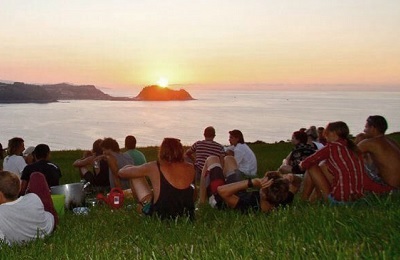 Zarautz Beach Glamping Surf Camp is every surfer and wannabe surfer's paradise! Located just 20 minutes outside of beautiful San Sebastian in Spain’s magnificent Basque country, the landscape is everything you could wish for, with vast mountains and beautiful beaches, to great bars for some awesome party nights! We provide all your equipment, surf lessons, yoga and meals, daily, but this is glamping baby! Stay in a large glamping tent, with power and lighting, and rest your head on a bed, with pillow, sheets, and sleeping bag provided. 7 Days Schooner Surf Hotel - Costa da Caparica, Lisbon Opiniao geral de hospedes: ☆☆☆☆☆ 0 Com base em 0 Comentarios . 7 Days Surf Trip Costa da Caparica, staying on board a Schooner! Enjoy a relaxed stay aboard a beautiful schooner while learning how to surf with this all-in-one-package. Unique experience connecting the boat and surf life! 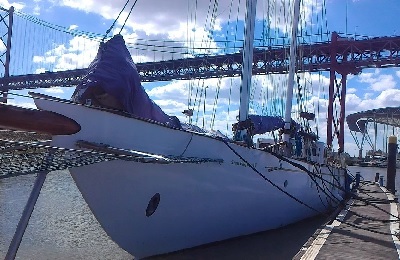 Your accommodation will be in an amazing schooner docked in the Marine, close to Lisbon's center. 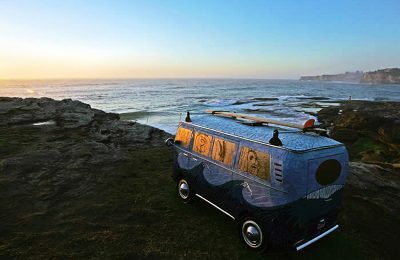 We provide shuttle service from the boat to the surf spot in Costa da Caparica where we will have access to the surfing school. 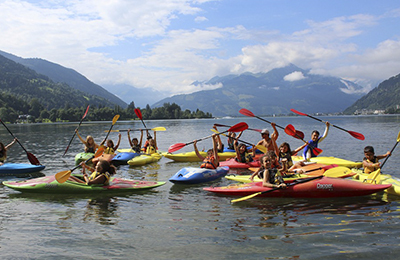 Lake of Zell am See Teens Adventures Camp - Kaprun, Salzburg Opiniao geral de hospedes: ★★★★★ 4.6 Com base em 3 Comentarios . Breathtaking experiences and fun challenges in a spectacular alpine mountain and lake location. Limited to 80 campers in four exciting programmes - English/German Language camp, Film Camp and Adventure camp, the congenial atmosphere in this small village could not be better. The view of the snow-capped mountains in the near distance is to die for. Pantin Beach Teens Surf & Multi Adventures Camp - Ferrol, Galicia Opiniao geral de hospedes: ★★★★★ 5 Com base em 2 Comentarios . COME WITH US AND SURF THE BEST WAVES! 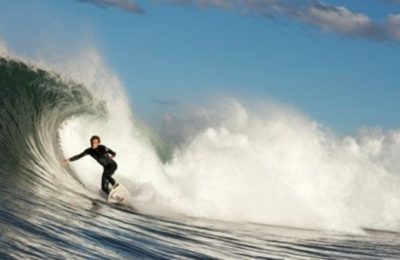 Take the opportunity to surf in Pantin, one of the best beaches in Europe with our teaching methods developed by the European surf champion Estitxu Estremo. 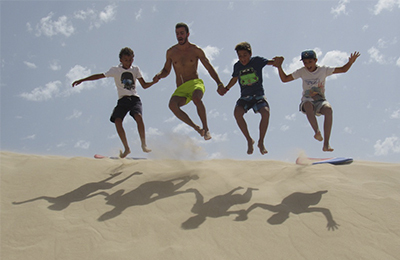 In our camp you will have all amenities … the only thing you will worry about will be surfing, have fun and relax! 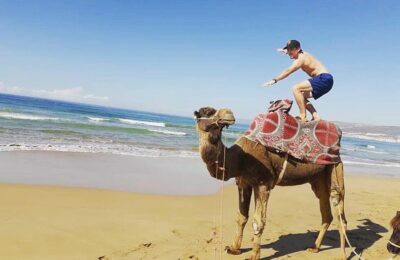 Chiclana de La Frontera Teens Multi Adventures Camp - Cadiz, Andalucia Opiniao geral de hospedes: ★★★★★ 5 Com base em 4 Comentarios . 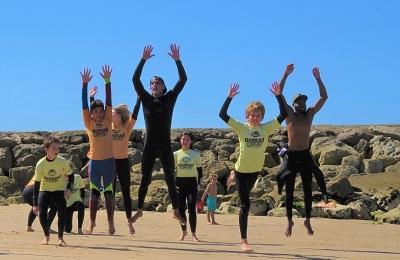 Here on the uncrowded and unspoiled Costa de la Luz coast Camp is launching its first ever Surf Camp alongside our challenging Adventure Camp and established English and Spanish Language Camps. 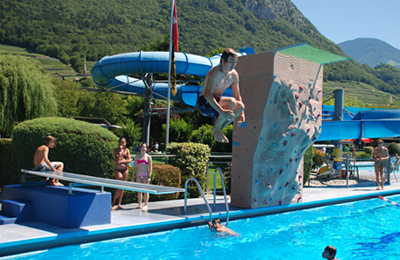 Lake Geneva Teens Adventures Camp - Leysin, Vaud Opiniao geral de hospedes: ★★★★★ 5 Com base em 5 Comentarios . For over 40 years, the delightful alpine village of Leysin perched high above Lake Geneva, has welcomed thousands of youngsters from all over the world. 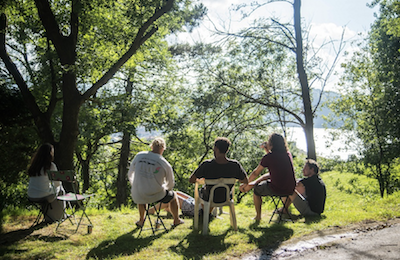 Accommodation where campers enjoy great facilities, healthy meals as well as panoramic views across to the distant French Alps. 9 exciting programmes to choose! 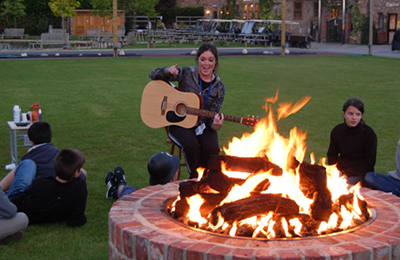 York Teens Adventures Camp - North Yorkshire, Leeds Opiniao geral de hospedes: ★★★★★ 5 Com base em 4 Comentarios . The camp is located amidst rolling green meadows and wooded countryside on the campus of a magnificent College, a short drive from York and about 2 hours from Manchester International Airport. Campers have enjoyed state-of-the-art accommodation and an impressive range of outdoor and indoor sports and leisure facilities, all in extensive grounds with parks, flowers and fountains. Ardèche river Teens Adventures Camp - Chasselay, Salavas Opiniao geral de hospedes: ★★★★★ 5 Com base em 3 Comentarios . The most spectacular location of all is our riverside activity site on the banks of the dramatic Ardèche river in forests of the sundrenched South of France. 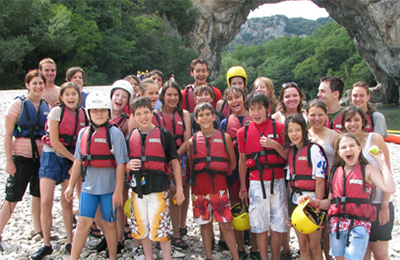 Here on the edge of the Ardèche Gorge National Park our long-established Adventure programme has attracted youngsters from all over the world. Suances Teens Surf Camp - Suances, Cantabria Opiniao geral de hospedes: ★★★★★ 5 Com base em 3 Comentarios . If you are looking for a different kind of summer camp, check us out. Suances Teens Surf Camp has intensive surf lessons and a whole range of beach, nature, and fun activities. 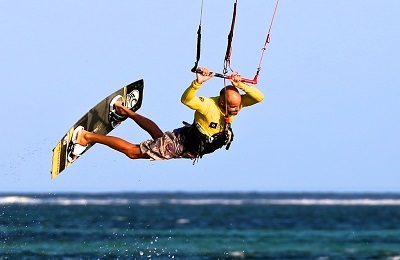 A well-deserved vacation in the best place to discover a fantastic sport in a unique verdant and beach environment enabling you to recharge your batteries for the whole year. 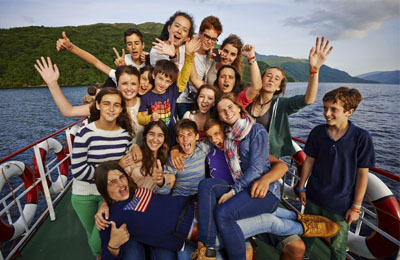 Trossachs National Park Teens Adventures Camp - Loch Lomond, Glasgow Opiniao geral de hospedes: ★★★★★ 5 Com base em 4 Comentarios . We aim to foster a positive, inclusive ethos promoting safe, active, healthy fun. A trip to the Camp can often be a pupil’s first experience away from home which may be daunting for parents and children alike, therefore we create a homely atmosphere where pupils can relax and have fun whilst continuing to learn and experience the outdoors. Playa Tamarindo Teens Language, Adventures & Surf Camp - Nicoya Peninsula, Guanacaste Opiniao geral de hospedes: ★★★★★ 5 Com base em 5 Comentarios . Beach campus located in the tropical dry forest, Playa Tamarindo is on the northern Pacific coast with long white sandy beaches and the most sunny days of the year. This section of Costa Rica is considered to be the Gold Coast because even during the heart of the rainy season, it still gets less rain than elsewhere else. Beach activities abound with snorkeling, scuba diving and surfing.